Students celebrate exceptional jump in results as almost a quarter achieve A* or A. 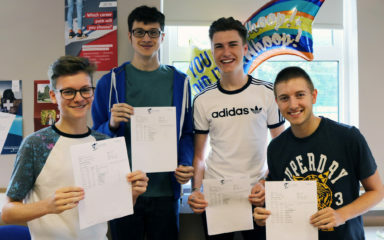 Students at the high-performing Holcombe Grammar School (HGS) were overjoyed today as they collected a stand-out set of results in their A Levels. Almost a quarter of all grades (24%) at HGS were A* or A, and half of all grades were A*-B (50%) – both of which are impressive improvements on last year and make for another year of extremely strong results at HGS. Teachers have praised the hard work and talent of the 2018 cohort of students, who will now continue their journeys at world-class institutions across the UK. Joshua Cunningham Marsh, who achieved A*AA and will study Politics at Warwick University. Ehsan Heidari has a particularly compelling story to tell. He joined HGS from the former Bishop of Rochester Academy, now The Victory Academy. Having moved to Chatham from Afghanistan halfway through his GCSE studies, he overcame the added challenge of learning English while studying for his A Levels. He has done exceptionally well to achieve 4 A Levels, and hopes to attend the University of Kent to study Economics. “We are absolutely thrilled with this record-breaking set of results at Holcombe. 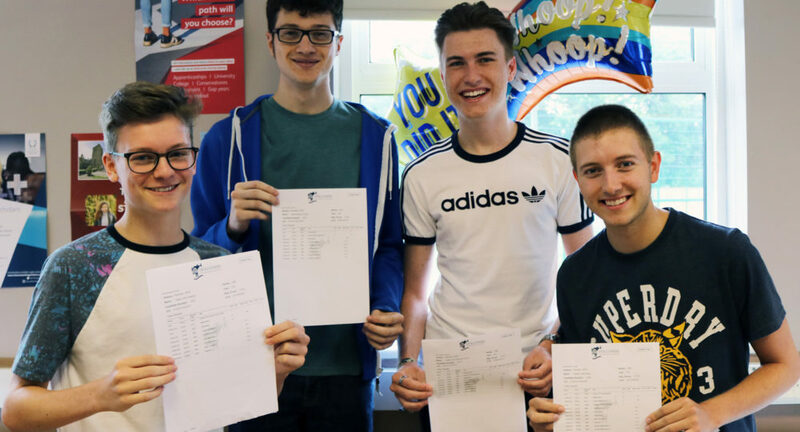 We are particularly proud of the jump in results this year, which is testament to the brilliant ambition and hard work our students have shown during their time in Sixth Form. “This success could not have been possible without the incredible dedication and support of our talented teachers – I would like to thank them very much.